Here is a how to clean up messy nail polish tutorial to can get a salon perfect manicure at home. The supplies needed: Nail Polish Remover or Pure Acetone, EcoTools Flat Angled Eyeliner Brush (you could use any cheap flat makeup brush), OPI Cuticle Oil, Dapper Dish or Contact Case. First to begin: Fill the dapper dish or contact case with the nail polish remover or acetone. Dip the eyeliner brush into the dapper dish and start carefully brushing off the messy nail polish. 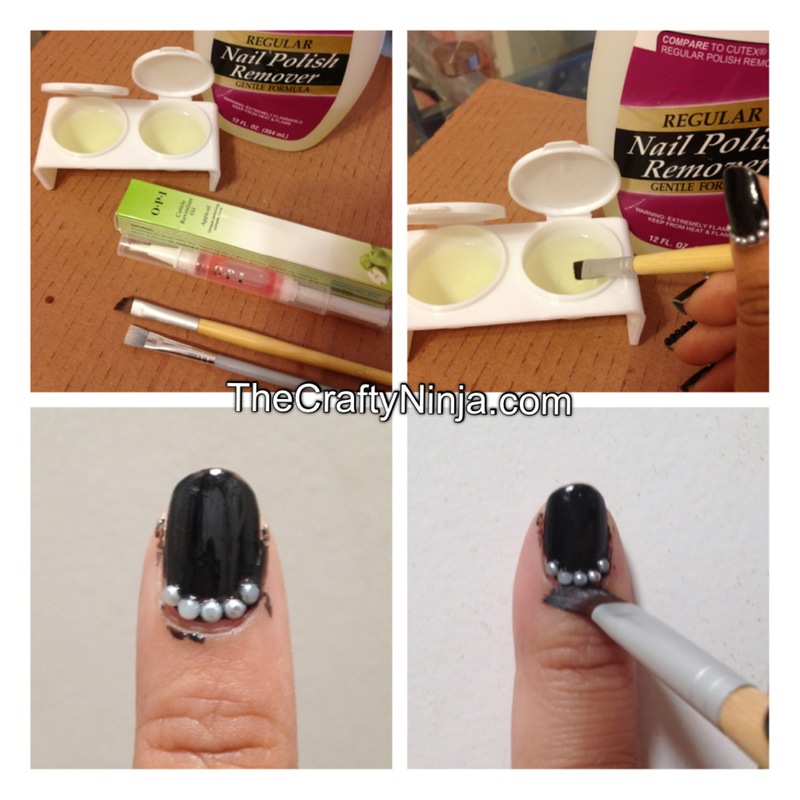 Be sure not to soak the brush too much or it will remove your nail polish on your nails. Once all the messy nail polish is removed it is important to replenish your cuticle and skin. Apply the cuticle revitalize oil to your cuticles and gently massage or rub it into your skin to achieve stronger and beautiful natural nails. Once you’re done you will have clean, messy-free, professional looking nails. If you like my nail art, please check out Caviar Pearl Bead Nails.